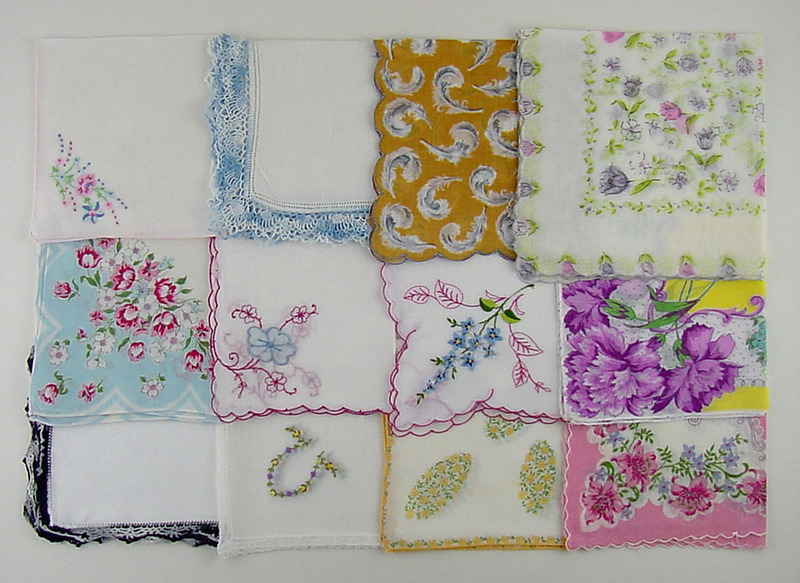 ALL HANKIES HAVE BEEN LAUNDERED, LIGHTLY STARCHED AND IRONED BY ME AND ARE FROM A SMOKE FREE ENVIRONMENT. 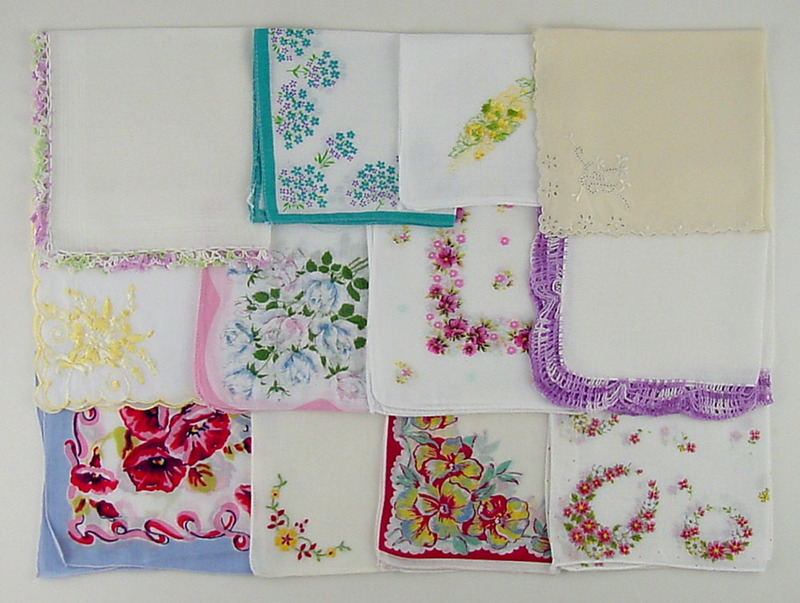 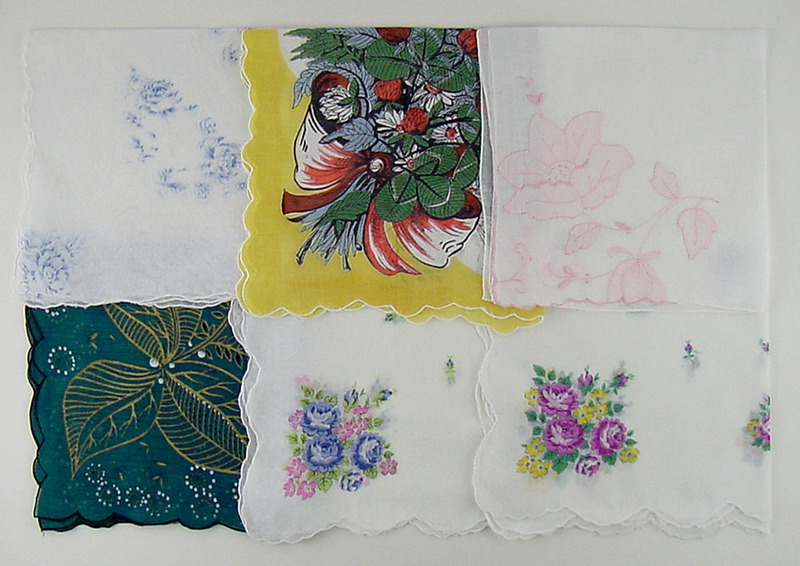 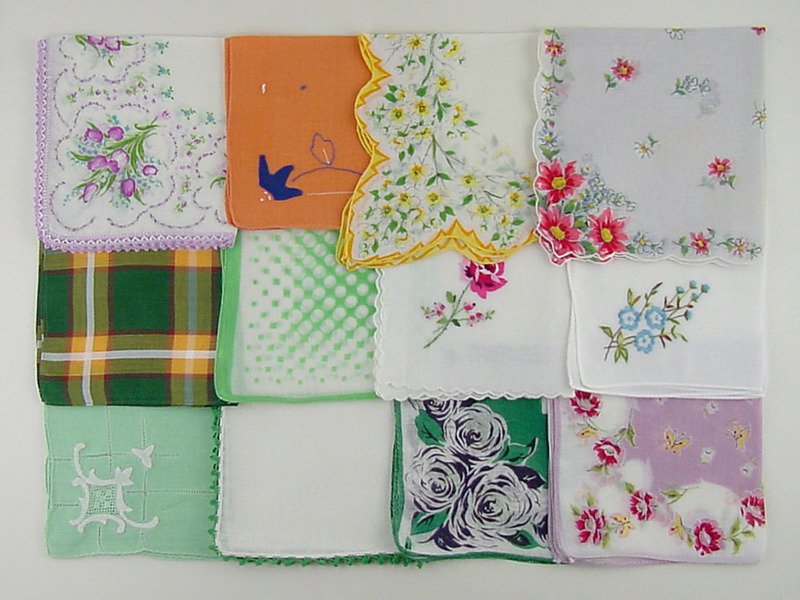 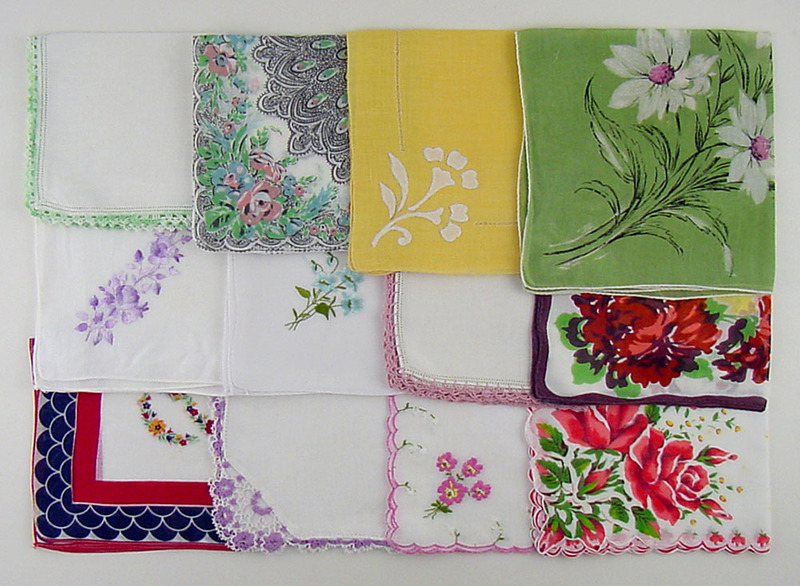 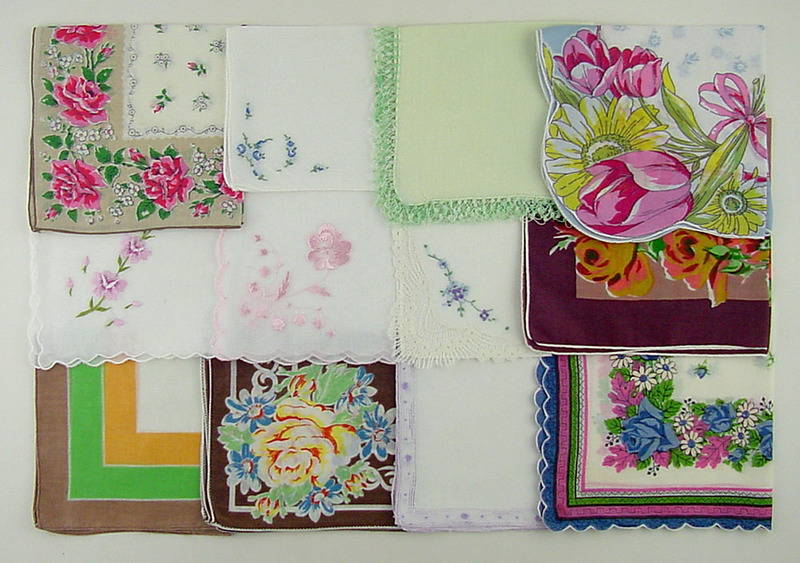 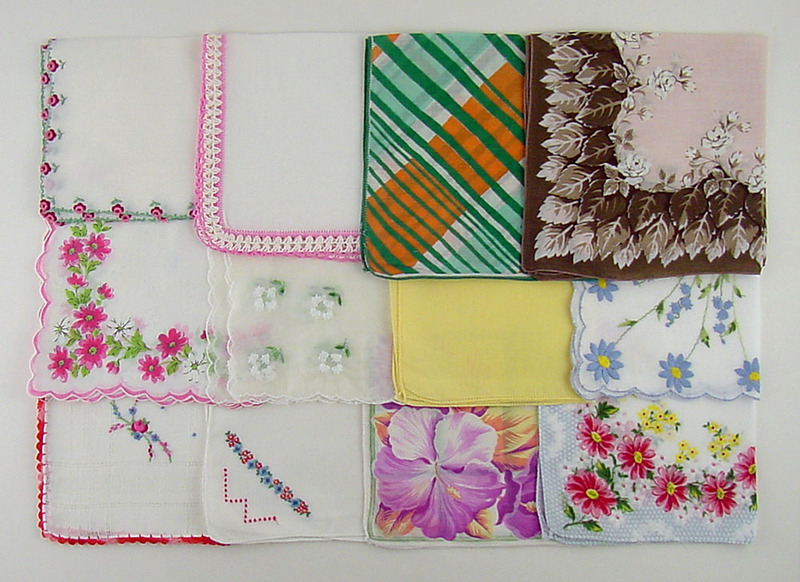 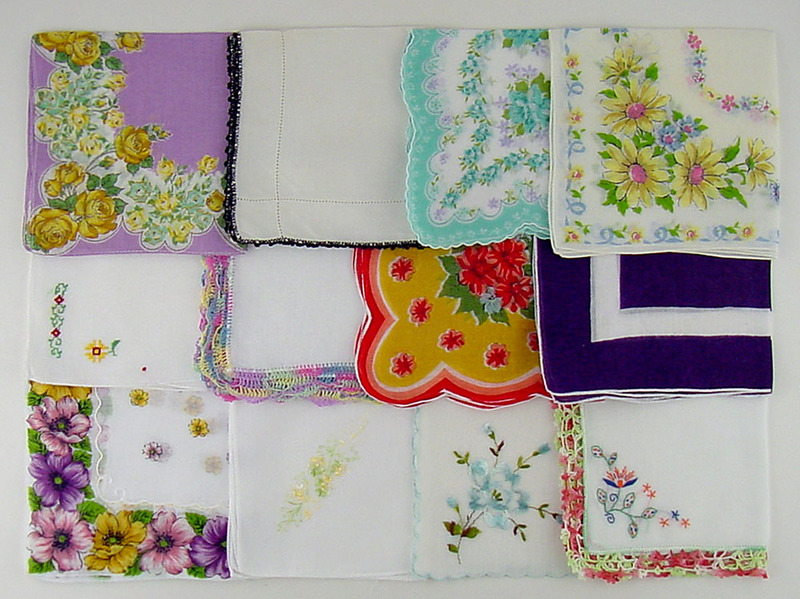 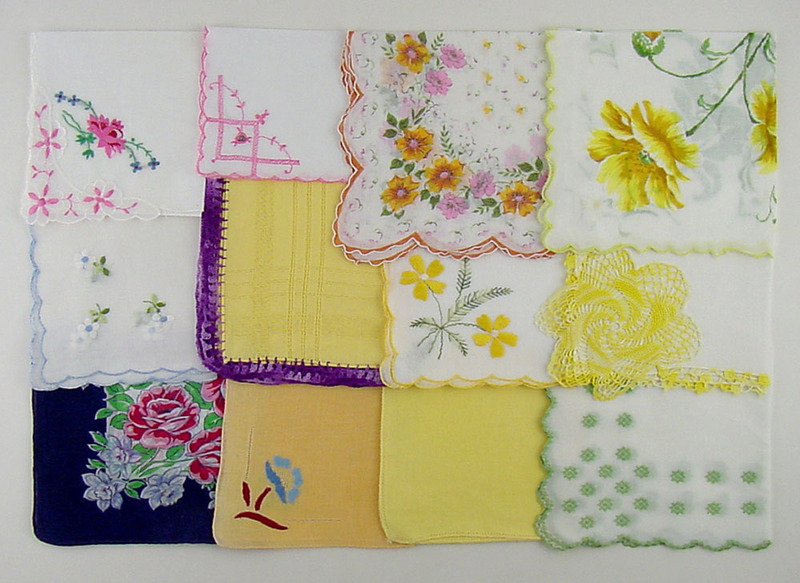 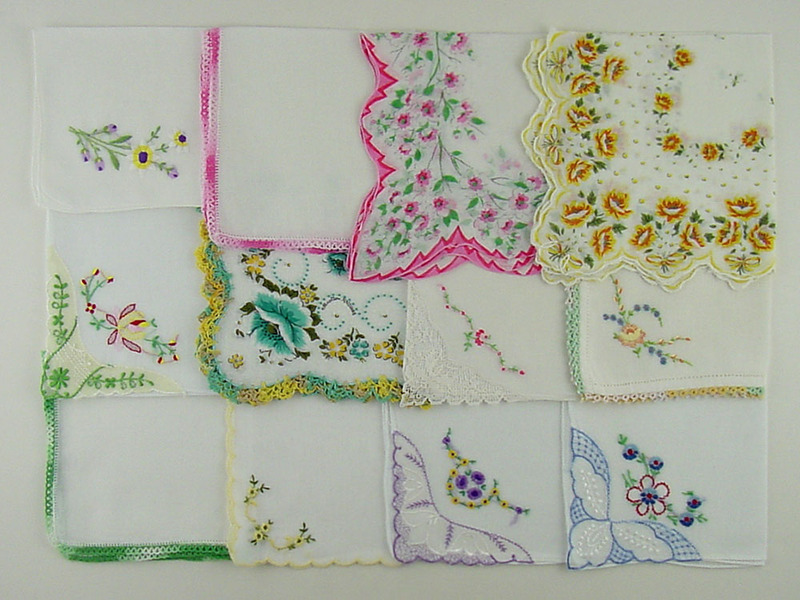 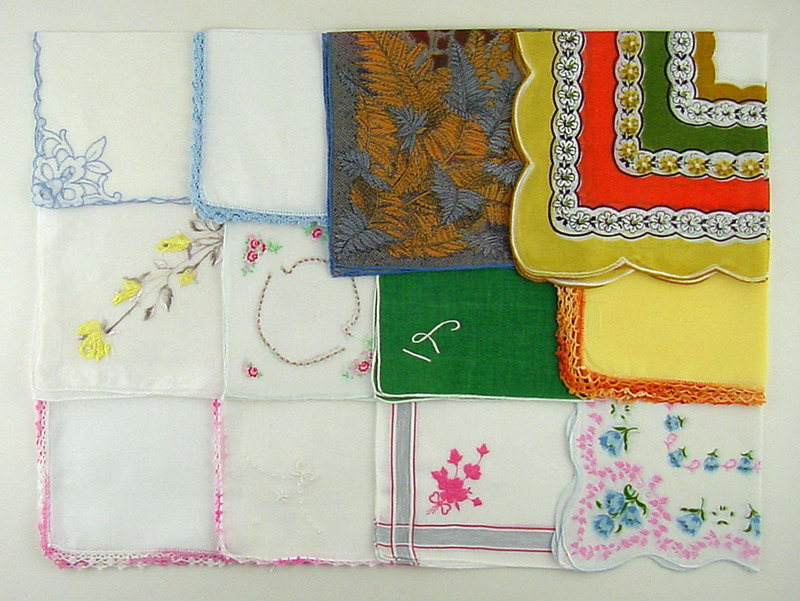 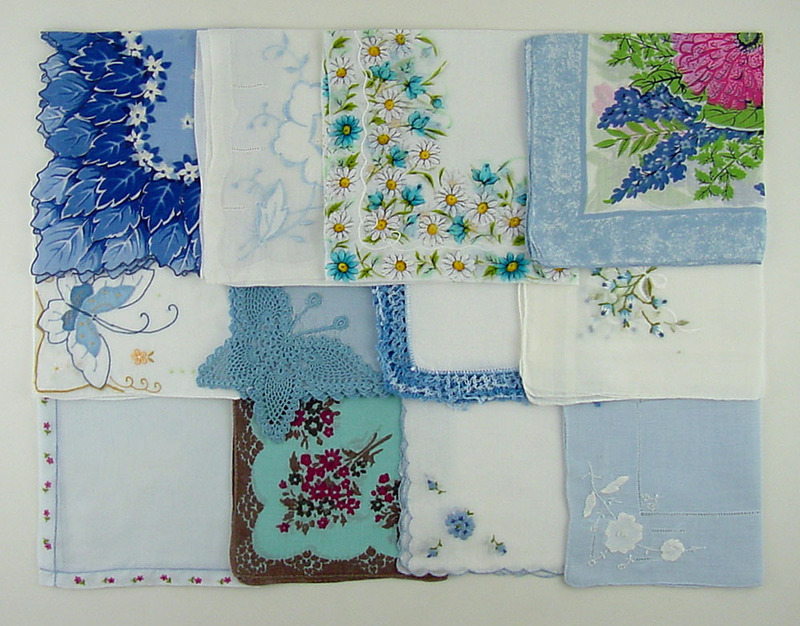 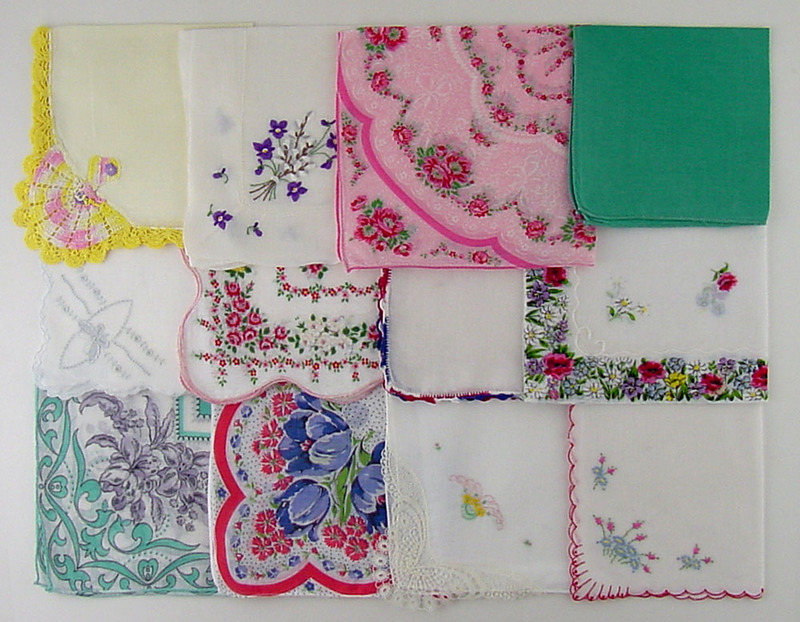 I AM LISTING SUCH A LARGE VOLUME OF HANKIES THAT I AM ONLY POSTING 1 PHOTO SHOWING ALL 6 HANKIES. 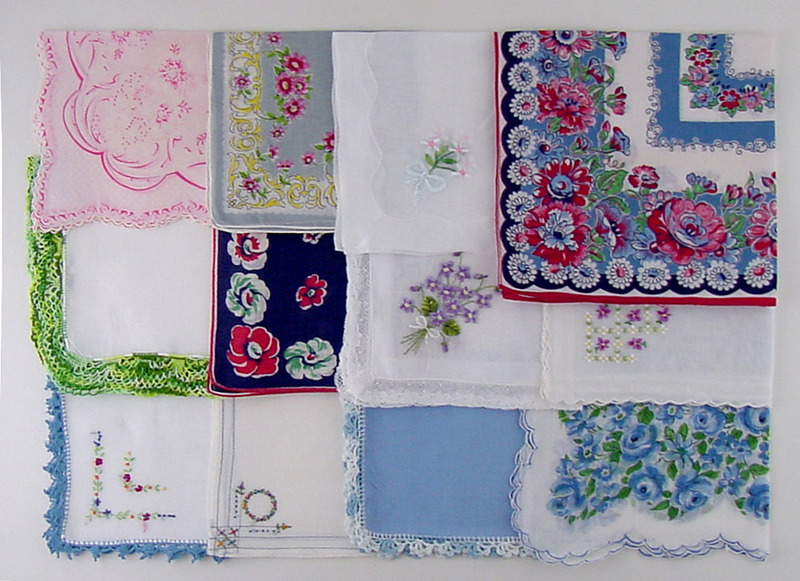 THE HANKIES YOU RECEIVE ARE THE HANKIES SHOWN IN PHOTO.